The satellite is set to head into an orbit circling over Earth’s poles, replenishing NOAA’s fleet of space-based meteorological sentinels and inaugurating a new generation of weather observatories to collect images of clouds and measurements of atmospheric temperature and moisture profiles. 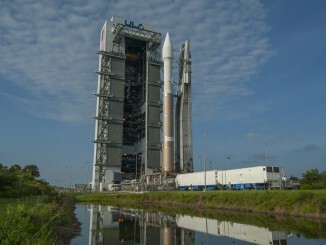 The launch was set for Friday, but officials ordered a delay to swap out a faulty battery on the Delta 2 rocket set to carry the JPSS 1 satellite into orbit, ULA said in a statement Monday. 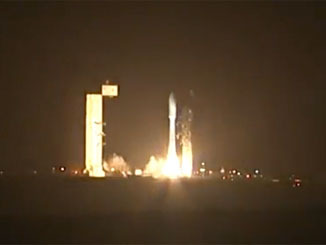 The launcher and the spacecraft remain stable, the company said. Liftoff from Space Launch Complex 2-West at Vandenberg is now targeted for no sooner than next Tuesday, Nov. 14, at 1:47 a.m. PST (4:47 a.m. EST; 0947 GMT). The launch window extends for approximately one minute, and the time remains fixed each day. 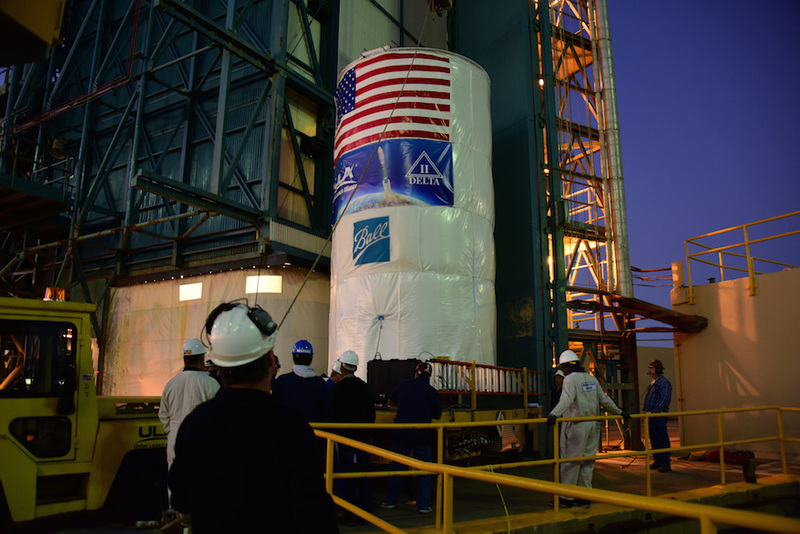 The first spacecraft in NOAA’s Joint Polar Satellite System was mounted atop the Delta 2 rocket Oct. 24, and technicians have encapsulated the satellite inside the launcher’s payload shroud at the seaside launch complex on California’s Central Coast. 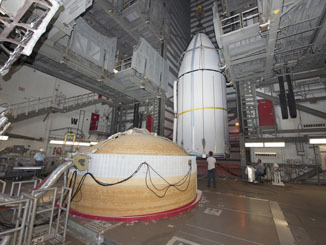 The encapsulation milestone completed assembly of the 128-foot-tall (39-meter) rocket, which will take off with a boost from nine solid-fueled strap-on motors. Officials gave approval to proceed with final launch preparations during a flight readiness review last week, but managers ordered the battery swap Monday. 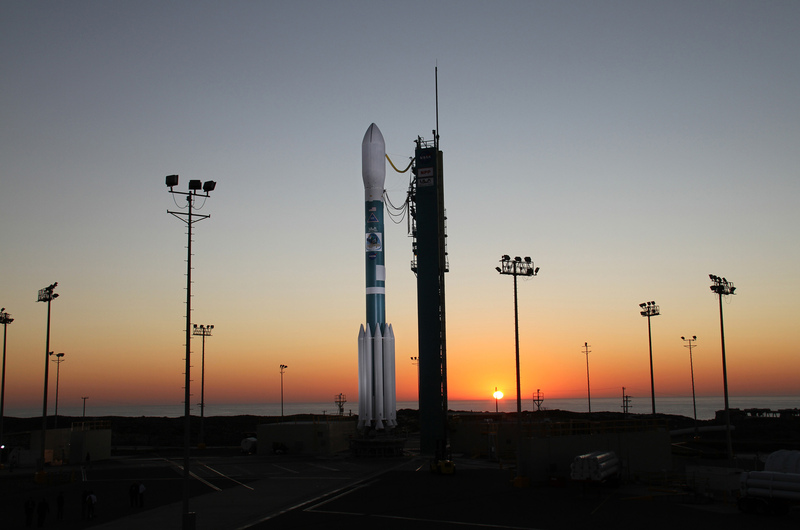 The launch will mark the penultimate flight of a Delta 2 rocket, which entered service in 1989 and has launched numerous military, commercial and scientific missions with 151 successful flights to date. One more launch of the medium-class Delta 2 rocket is slated for next year with NASA’s ICESat 2 satellite. The nearly 5,000-pound (2,200-kilogram) JPSS 1 satellite was manufactured by Ball Aerospace and Technologies Corp. for a seven-year mission. Five instruments aboard JPSS 1 will gather data on storms, clouds, fog, smoke plumes and snow and ice cover, measure atmospheric temperature and moisture content, and study the health of Earth’s ozone layer. The measurements will aid medium-range forecasts by feeding data into numerical computer models formulating three-to-seven-day weather outlooks. The Delta 2 rocket’s upper stage will deliver the JPSS 1 satellite into a 500-mile-high (800-kilometer) orbit, where it will join — and eventually replace — the predecessor Suomi NPP weather craft launched in October 2011.